Cathie Rowand | The Journal Gazette IPFW students work in the computer lab at Helmke Library. Proposed budget cuts would claim nearly $2 million from the Indiana State Library budget. The biggest effect would be on INSPIRE, a collection of research databases available to all Indiana residents. Hoosiers last year used Indiana’s free online library to search more than 125 million times for job information, home-school assignments, academic research and more. But access to the state’s desktop research library and its millions of articles and resources will be out of reach if Gov. Mike Pence’s budget is approved as submitted. The 24 percent cut in funding Pence proposes for the Indiana State Library will devastate services for Indiana residents, according to Indiana State Library Director Jacob Speer. The governor’s budget ax falls directly on INSPIRE, the state’s virtual library service, but also on genealogy and library certification services. The savings would be about $3.8 million over two years, but the cost to the state would be much greater. Access to INSPIRE’s collection of databases is a priceless resource. The governor’s office insists the resources are available elsewhere for free, but this is not a matter of simply searching Google. 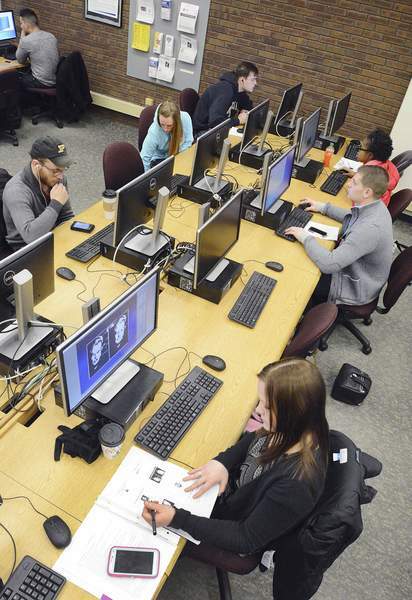 "When you go to the Internet to search, none of the information is vetted by anyone – anyone can say anything about any subject," said Cheryl Truesdell, dean of IPFW’s Walter P. Helmke Library. "What the databases do and what INSPIRE does is offer citizens information that has been vetted by experts in the field." For example, INSPIRE’s A-to-Z resource list offers more than two dozen subject areas for searching, including health and medicine, U.S. government and general reference materials. Within those collections are thousands of links. One click leads to the collected works of Abraham Lincoln or to Affordable Care Act links collected specifically for Indiana residents. Another link pulls up thousands of peer-reviewed academic journals and trade publications. Speer, in information distributed in response to concerns about the budget cuts, noted that INSPIRE is "heavily used by educators, researchers, K-12 students and post-secondary students." The vast majority of its resources are not available in any other location on the Web, he wrote. INSPIRE began in 1998 – a partnership between the Indiana State Library and the Indiana Cooperative Library Services Authority. A grant from the Lilly Endowment Inc. provided for software and development of the website. Funds from the federal Library Services and Technology Act are used for administration costs. The state received more than $3 million in federal library funds in fiscal year 2013, leveraged by $1.5 million in state funds. Of the latter, $1.4 million supported INSPIRE, with the balance from other state and local sources. If the matching funds allocated for INSPIRE were cut, a deficit of about $933,000 would result. "We would probably pick up some of that in our budget," Truesdell acknowledged. "But I know we could not pick up all of it. "Through INSPIRE, we’ve been able to negotiate with the vendors (for database access). If every library had to buy these things, they could not afford it. That’s why the Indiana State Library is so important in this – it’s their No. 1 role. It should be a star in our cap." In a library newsletter, Truesdell asked IPFW faculty to contact members of the Indiana House Ways and Means Committee, urging them to restore funding in the final budget. Library networks throughout the state are buzzing with discussion about the plan. "I serve on the Noble County Public Library Board of Trustees and our director was the first to bring the issue to my attention," said Rep. David Ober in an email. "I have since heard from several other library advocates as well as the Indiana Library Federation." The Albion Republican, a member of the Ways and Means Committee, said he has used INSPIRE and that it is "a very useful tool for learning." "I plan to help champion this issue along with other members of the committee as we craft the House version of the budget." The governor’s office, however, is standing firm. "INSPIRE was defunded in the budget because it is largely duplicative of services available for free on sites like Google Scholar, Directory of Open Access Journals, Microsoft Academic Search, etc.," said Chris Atkins, director of the Office of Management and Budget, in an email response. "Also there is data to suggest that many INSPIRE users are located outside of Indiana." Perhaps, but thousands of INSPIRE users within the state will be the real losers if the governor’s shortsighted cut is approved. Karen Francisco, editorial page editor, has worked at The Journal Gazette since 2000 and for Indiana newspapers since 1982. She can be reached at 260-461-8206 or by email, kfrancisco@jg.net.